Country humor is nothing if not gentle - and this outhouse bird house is a fine example! 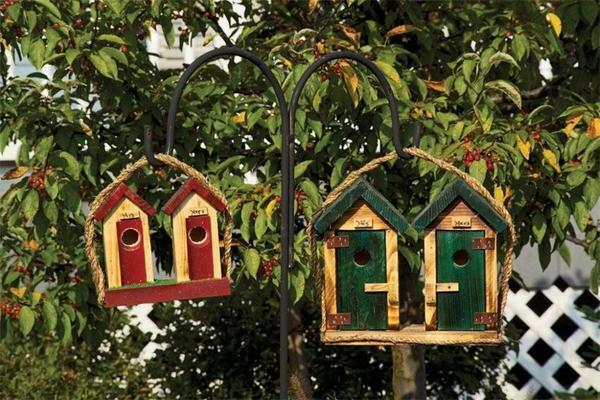 Bring a few knowing smiles to the neighborhood by inviting local songbirds to nest in this most dignified of bird houses. Lovingly crafted by Amish woodworkers known the world over for their dedication, this bird house promises smiles for years and years to come. Choose from a rainbow of colors to find your perfect fit. If you have any questions at all, please get in touch - we're available by phone and email whenever you need us.